Jason Upton was adopted in 1973. He grew up in Minneapolis, Minnesota. At the age of fifteen he began ministering in churches all over the United States. At this time he also won the Christian Artist Music Seminar in Estes Park, Colorado, and recorded his first recording. He continued to travel and began writing music at eighteen, and at twenty-one recorded his first original recording. In December 1995 Jason married Rachel, his wife. Shortly after their marriage they both had an encounter with God that left them searching for something more than merely going to churches to sing. They wanted to make a long lasting impact on the communities where they were invited. During their time at Regent University, finishing their Master's of Divinity programs, they set up a worship room in their home where they regularly gathered with other worshipers to pray and intercede. It was during these intimate worship gatherings that they began to intertwine music with all forms of worship and prayer found in the Bible. They soon realized that the songs God was giving Jason were not simply songs but keys that would open and shut doors in the spirit realm. This culminated in a live worship recording entitled "Key of David." 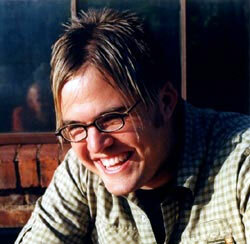 In the fall of 2001, Jason and Rachel ministered at the Call Dc, Nepal, Indonesia, India, and in cities all over the U.S. In addition they have released a new worship album on 40records entitled Faith. On January 9, 2001 Jason and Rachel had their first child, Samuel James. Jason, Rachel, Samuel, and their yellow lab "Hudson Taylor" currently reside in Norfolk, Virginia.